Former two division champion Conor Mcgregor is currently on a business tour to promote his Proper twelve Irish Whiskey in the states and to celebrate a St Patrick’s Day in Chicago where he had a stand-up Q&A session in a bar. Irishman also said he’s looking for a fight and discussed a bunch of rematches and one name he brought up was pugilist Floyd Mayweather. In a highly anticipated boxing spectacle, Mayweather defeated McGregor via 10th-round TKO back in 2017. Despite that was his debut in boxing promotion Conor did much better than expected, and their super fight generates 4.4 million PPV buys. Mcgregor has a lot of options to choose the opponents upon his return to Octagon. The top fight that intrigues him is a rematch with formal rival Khabib Nurmgaomedov, and another one that can bring a hell of a payday is a rematch with Mayweather. 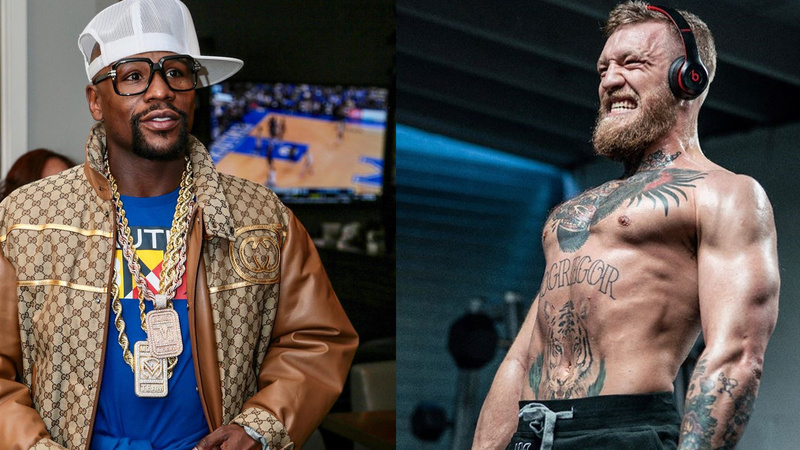 Irishman believes ‘Money’ match should happen down the road and is confident he’ll get the best of Mayweather. Mcgregor last fought back in October at UFC 229 where he suffered a submission loss against Nurmagomedov. His last win came back in 2016 when he defeated Eddie Alvarez to become UFC’s first two-division champion simultaneously. Anyone want to see a boxing rematch between Mcgregor and Mayweather?